Ask crowdSPRING: Can Royalty-free Stock Be Used For Logo Design? 1. 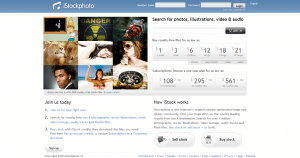 Can royalty-free images from iStockphoto be used for logo design? Answer: No. Many designers assume that they can freely use royalty-free images purchased on sites like http://www.istockphoto.com in their designs. While it may be appropriate and lawful to use royalty-free images in most graphic design projects such as web design (please carefully read the license rights so that you understand whether you have the legal right to use the image), there are often specific restrictions on using royalty-free images for logo design. “You may not … use any of the Content as part of a trade-mark, design-mark, trade-name, business name, service mark, or logo”. While some people assume that iStockphoto’s “Exended License” provides additional rights, the extended license does not permit the use of royalty-free images from iStockphoto for logo design. 2. Why doesn’t iStockphoto permit royalty-free images to be used for logo design? Answer: iStockphoto most likely has many reasons why it doesn’t permit royalty-free images to be used for logo design. Keep in mind that a company purchasing a logo (which often includes a mark) doesn’t want to see the mark/graphic to be used by other businesses. Because stock designs can be sold to hundreds, if not thousands of customers, it’s possible that thousands of companies could end up using the same graphics in their logos. This presents numerous problems, including making it very difficult if not impossible to obtain trademark protection for a logo. To address this concern (and other concerns), iStockphoto’s license expressly prohibits the use of royalty-free images for logos. 3. Do other stock sites permit royalty-free images to be used for logo design? Answer: There are many stock sites, and it’s not possible for us to answer this question for all stock sites. You must carefully review the legal agreements and licenses for any site that you plan to use to confirm that you are legally permitted to use stock purchased from those sites, in a logo design. Keep in mind that when you enter into a legal contract on crowdSPRING, you represent that you have the rights to your design and the right to sell your design to the client. Do you have other questions related to this issue? Please feel free to ask in the comments.